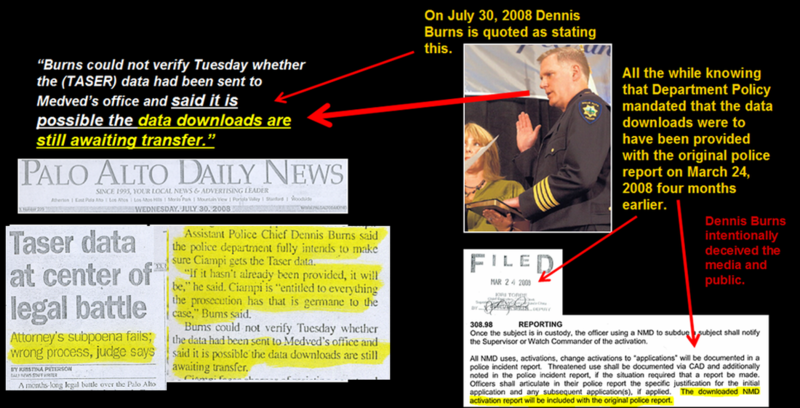 The Santa Clara DA Was Knowingly and Willingly Violating Penal Code 1054 In Order Suppress Evidence Unconstitutionally. 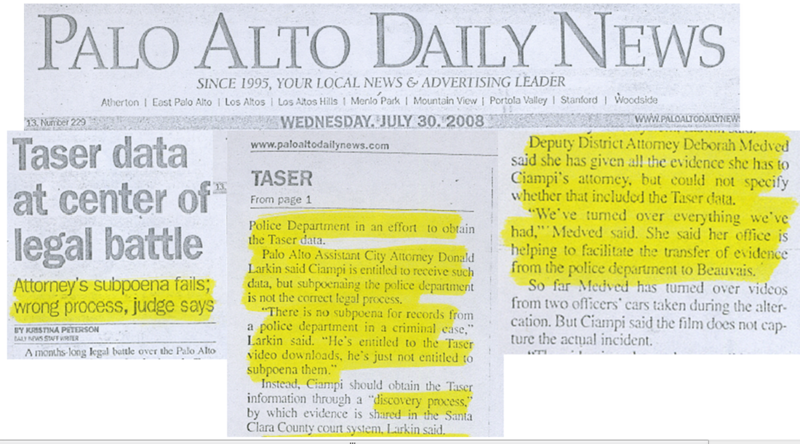 Only from public pressure and the media did the Palo Alto Police and the Santa Clara County DA provide the taser gun activation data four months after it should have been provided. 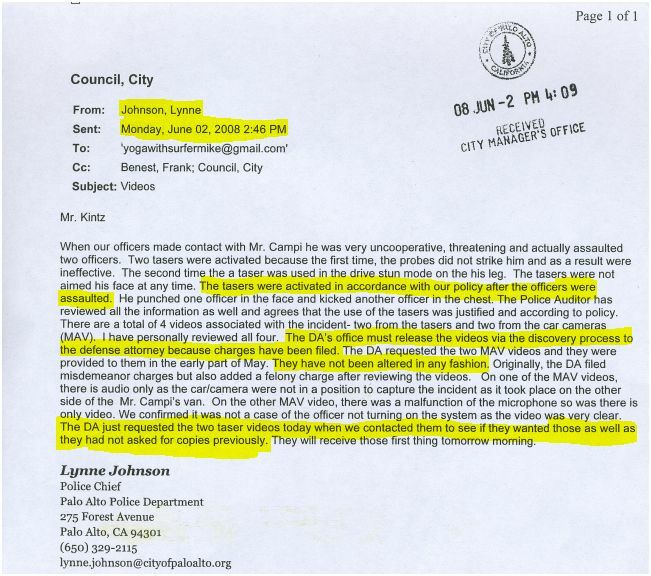 Only after public pressure from many local residents did Police Chiefs Lynne Johnson and Dennis Burns provide the Taser Videos as verified by Johnson's email response.